The stylish supermini is the latest addition to the iconic British brand’s rapidly evolving product range, following in the footsteps of the previous model MG3 which sold over 10,000 units in four years on sale, exceeding industry expectations. New MG3 has assets aplenty, but here are just a handful of reasons why young drivers should make it their first. MG3 falls into the Insurance group 7E, making it cheaper than most of the cars in the ‘supermini’ category. 7 year warranty guarantees peace of mind for an extended amount of time- a much higher warranty period than most other manufacturers. New MG3 has one of the most spacious cabins in its class, with impressive boot space and a staggering 285 litres of capacity. The range comes packed with a host of exciting technology, including Bluetooth telephone and audio streaming and USB as standard, with an 8” touchscreen and Apple CarPlay™ available on Excite and Exclusive versions. 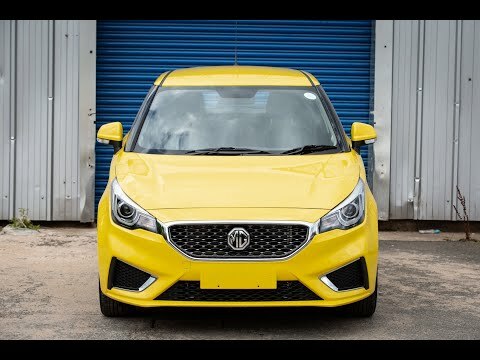 Think the MG3 sounds like the car for you? Give us a call on 0191 427 1566 to speak to one of our MG specialists Callum or Ray, who will be pleased to help you with any enquiries.